THE AMFW 2012 ROADSHOW MOVES ON TO NEW YORK AFTER ITS SUCCESSFUL LAGOS EXTRAVAGANGZA. With 77 designers, over 50 models and in excess of 50,000 attendees, including international press and buyers, ARISE MAGAZINE FASHION WEEK 2012 (AMFW) concluded its second annual fashion week in spectacular style on Sunday night (March 11 2012), on the grounds of the 5-Star Federal Palace Hotel, Lagos, Nigeria. 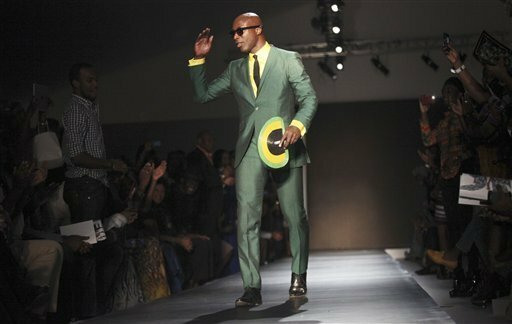 A standing ovation greeted the British designer Ozwald Boateng as he brought the Fashion Week to its close with his signature presentation of bespoke suits. After completing a marathon of back-to-back catwalk shows, AMFW’s finale included the much-anticipated ARISE MAGAZINE FASHION WEEK AWARDS 2012. Supermodel Alek Wek presented 13 of the 77 participating designers with Lalique and Moët & Chandon awards. Major honours went to Ozwald Boateng (UK) for the Lifetime Achievement Award, whilst South African designer Klûk CGDT and Nigerian designer Maki Oh were joint winners in the Designer of The Year Award category. The organisers also revealed its FIVE designers who will showcase for ARISE during its annual gala extravaganza this September at the Mercedes-Benz New York Fashion Week 2012. They are: Ozwald Boateng, Gavin Rajah, Maki Oh, Tiffany Amber and Tsemaye Binitie. In addition, ARISE also announced five models – Alvin, Sebastian, Oluwatoyin, Anthony (female) and Amade will also be joining the designers in New York. We already have London, New York, Paris and Milan fashion weeks, our AMFW event in Lagos completes the international global fashion week season, says the event organisers. On the 8th of March 2011, ARISE Magazine hosted its inaugural show in Lagos, where it invited over 50 designers to participate at the prestigious Federal Palace Hotel, Nigeria. ARISE Magazine Fashion Week 2012 was sponsored by Guaranty Trust Bank Plc, and was supported by Belvedere Vodka, Moët & Chandon and House of Tara. 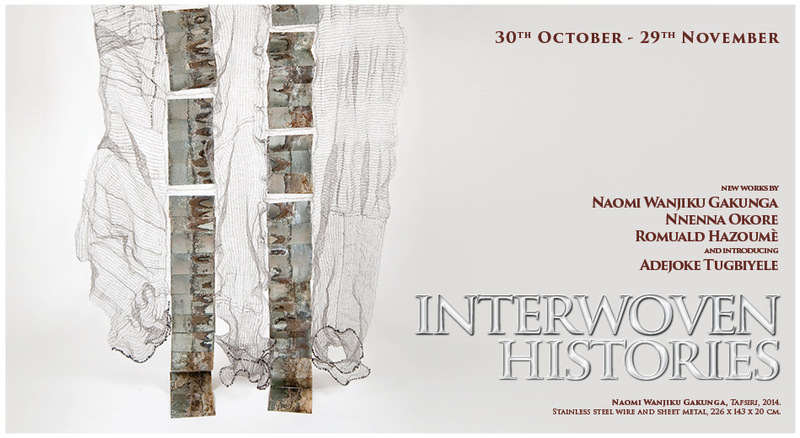 The full list of participating designers were: Adama-Paris (Senegal/France), Amede (Nigeria), Amine Bendriouich Couture and BS (Germany/Morocco), Amrapali (India), Grey (Nigeria), Bestow Elan (UK/Ghana), Bridget Awosika (Nigeria), Buki Akib (UK/Nigeria), Christie Brown (Ghana), CLAN (Nigeria), David David London (UK), Davida (Nigeria), Duaba Serwa (Ghana), Ejiro Amos Tafiri (Nigeria), Eki Orleans (UK/Nigeria), Femi Handbags (Nigeria), Frank Osodi for Bunor Creazioni (Nigeria), Funlayo Déri (UK/Nigeria), Gavin Rajah (South Africa), Gloria Wavamunno (Uganda), House of Farrah (Nigeria), Hse of Nwocha (Nigeria), House of Silk (Nigeria), ICONIC INVANITY (Nigeria), Imane Ayissi (France/Cameroon), Jacob Kimmie (UK/South Africa), Jewel by Lisa (Nigeria), JIL (Ghana), Jini Collections (Nigeria), Karolyne Ashley (US/Bahamas), Kastle Designs & Treasure Chest (USA/Ghana), Kaveke (Kenya/UK), Kezia Frederick (UK/St.Lucia), Kiki Clothing (Ghana), Kiki Kamanu (US/Nigeria), Kinabuti (Italy/Nigeria), Klûk CGDT (South Africa), Koke (Botswana/India), Kola Kuddus (Nigeria), Lanre Da Silva Ajayi (Nigeria), LaQuan Smith (USA), Laurenceairline (France/Côte dlvoire), Loza Maléombho (USA/Côte dlvoire), Madam Wokie (Sierra Leone), Mai Atafo (Nigeria), Maki-Oh (Nigeria), Mataano (USA/Somalia), Meena (Nigeria), Mustafa Hassanali (Tanzania), NKWO (UK/Nigeria), Odio Mimonet (Nigeria), Ohema Ohene (UK/Ghana), Okunoren Twins (Nigeria), Ozwald Boateng (UK/Ghana), Paul Hervé ELISABETH (Martinique),PETROU/Man (US/Europe), Poisa (Kenya), Phunkafrique (Nigeria), Prajje 1983 (US/Haiti), Prey Of London (UK), PPQ (UK/South Africa), Re Bahia (UK/Nigeria), Romero Bryan (UK/Jamaica), Sandra Muendane (Mozambique/Portugal), Sunny Rose (Nigeria/Thailand), Taibo Bacar (Mozambique), the Vessel. By Lois (USA/Jamaica), Tiffany Amber (Nigeria), Telfar (USA/Liberia), Tsemaye Binitie (UK/Nigeria), Toju Foyeh (Nigeria) U.Mi-1 (UK/Nigeria), Viv La Resistance (Nigeria), Vonne Couture (Nigeria), William Okpo (USA/Nigeria) and Zooni (India). Previously, ARISE had a successful run of THREE seasons (in 2009, 2010 and 2011) of the ARISE AFRICA FASHION COLLECTIVES at New York Fashion Week’s Bryant Park, New York, MADE IN AFRICA BY ARISE MAGAZINE (15th September 2011) at the Avery Fisher Hall, New York and the successful sponsorship of the inaugural ARISE AFRICA FASHION WEEK at the Sandton Convention Centre, in Johannesburg and Cape Town in 2009.